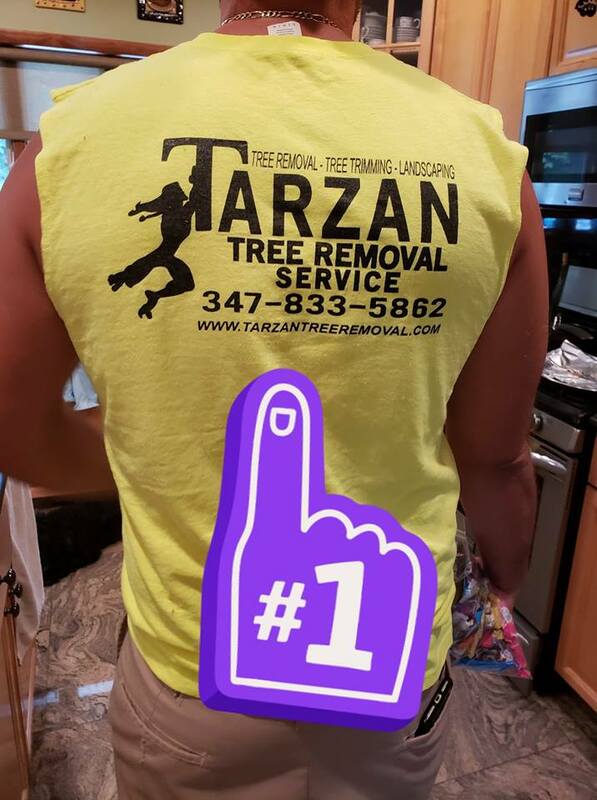 Welcome to Tarzan Tree Removal Service. In a short amount of years we have gained such a reputation in the industry. Joseph P. Messina, owner and founder, believes this is because of their customer service skills. 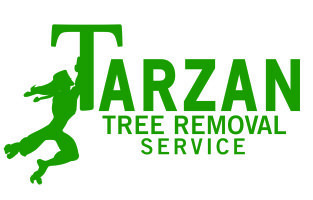 September and October are the busiest times of the year for Tarzan Tree Removal Service. Although the summer is always busy, along with spring, it seems that at the beginning of the Fall people want to get ready for the winter. Vacation is over. Reality sets in and people begin to focus on getting their house ready for the holidays. And Brooklyn Tree Removal service is always ready for it! Most of our clients are very pleased with our work. And our Brooklyn Tree Removal reviews reflect that. And that is one of many reviews where our clients raved about our work. We are passionate in serving the Brooklyn area and making sure that people are happy with our work. Some of the jobs we complete clients are left in awe. Tree removal can be an amazing process sometimes when a tree is so enormous it is hard to understand how it can be taken down piece by piece. Tarzan Tree Removal Service also tries to advise our clients to always save a tree when we can. 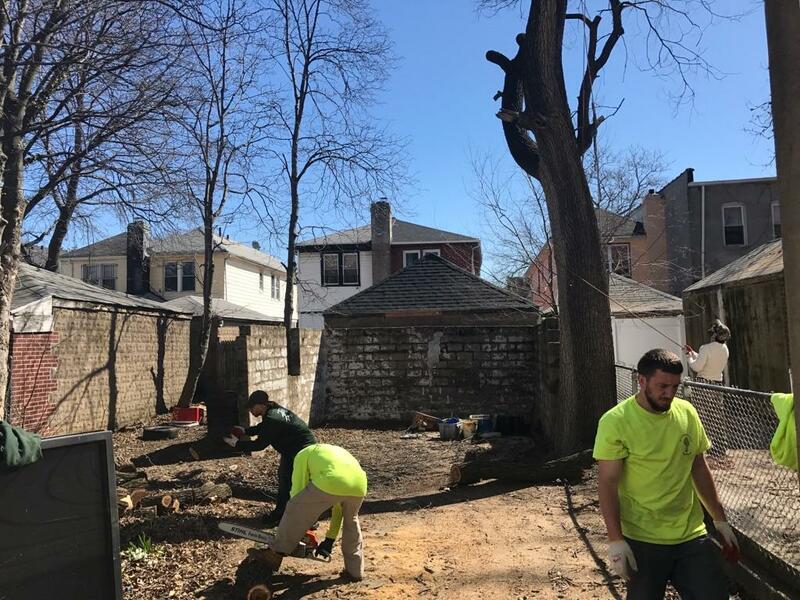 If complete tree removal can be avoided it is always our first choice. If you have any questions about our tree services, please call 348-833-5862. Welcome to Greenpoint Tree Service. 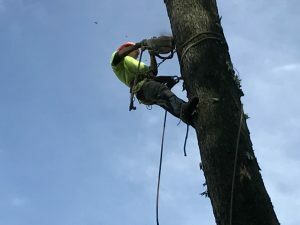 We are one of the top tree removal companies in the area, and it is easy to tell you why. We are able to build a great relationship with clients from the start. 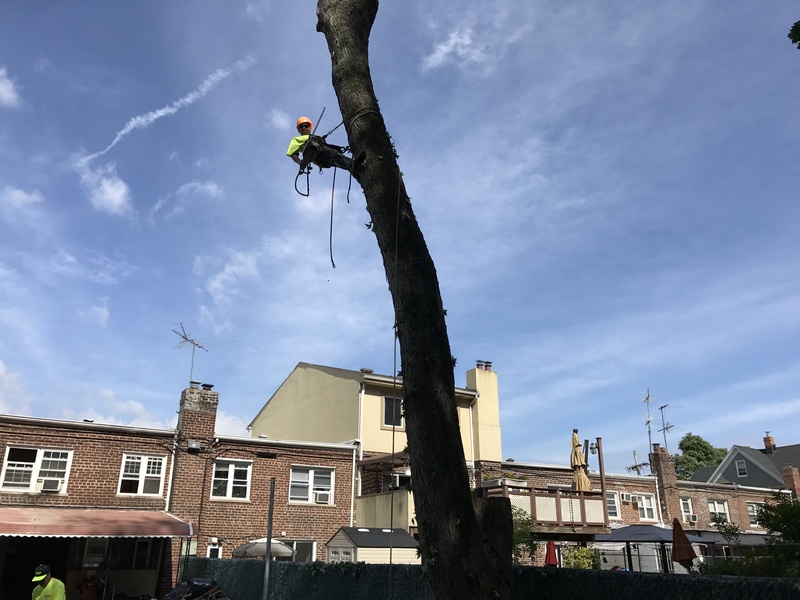 The second they call us for a tree service a Tarzan Tree Removal representative contacts them immediately to set up an appointment. Which is based on the flexibility of the client. 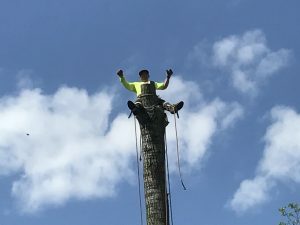 At the appointment Joseph P. Messina, the owner of Tarzan Tree Removal, will ask as many questions and answer any concerns the customer may have. A lot of the time people will not know what they want or need. He will take the time to explain all of the services we offer. And of course, the most cost efficient and effective solution for our Greenpoint customers. We make the who process STRESS FREE. Welcome to Tarzan Tree Removal. 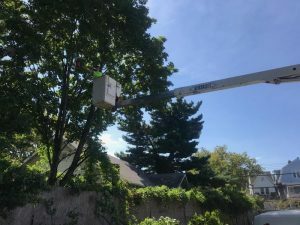 At Greenpoint Tree Service, our team does not opt for the most expensive solution. We do not want to bang our customers over the head in charges. That is not the goal of our company. Rather, we want to successfully take care of the problem so that the stress is over. 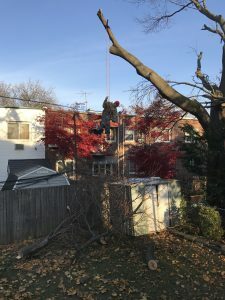 There are a lot of moving components to removing or trimming a tree. Especially if there is only access to the backyard through the home. Which is the case for many homes in Brooklyn. We will cover all of the doorways and floors so that nothing inside the home gets damaged. As the tree is being removed or trimmed it will be cut up in smaller pieces. This will allow for easy carry-through. A small tree can take the entire day when it is meticulous like this. But no worries, it will get done. Greenpoint Tree Service is also known for their impeccable clean-up. We make sure that the property looks just like the way we found it. 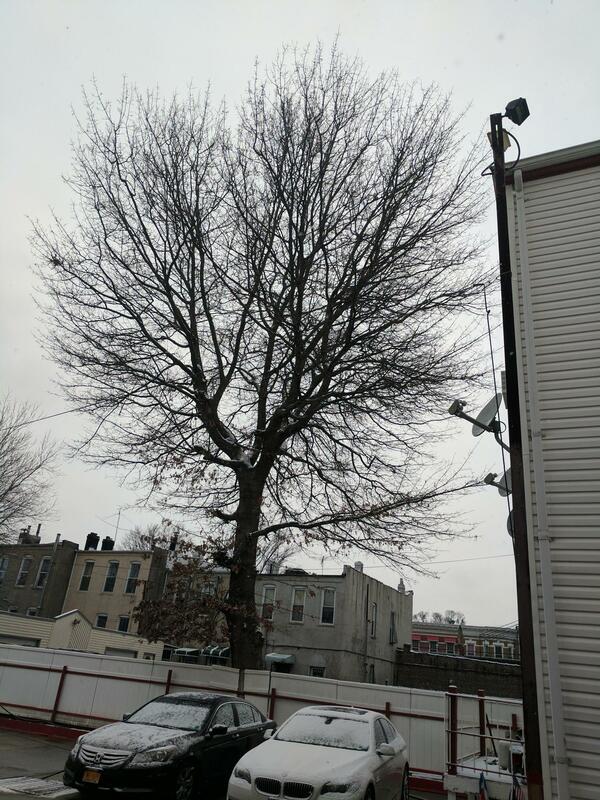 For any questions regarding tree service in Brooklyn, please call us at 347-833-5862!